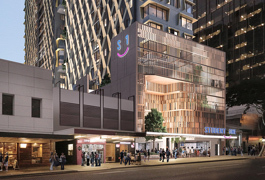 Student One Elizabeth Street will accommodate up to 901 residents in two towers above Brisbane’s historic Elizabeth Arcade and opens in stages across 2019. 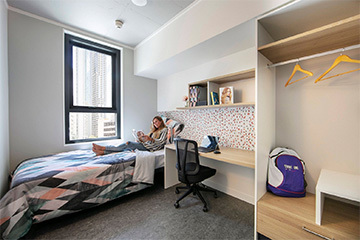 Stage 1: The doors to Student One Elizabeth Street are now open with all communal areas such as gym, cinema, study spaces, games room and communal kitchen, all based on the first-floor and the majority of Elizabeth Tower fully operational. Stage 2: The Charlotte Street tower including rooftop recreational area will open by the end of April 2019. Stage 3: The rebuilt and revived Elizabeth Arcade is set to open in May 2019. From that date on, residents can expect the same premium student experience that all Student One residents have enjoyed before them. In the rare event that your experience is impacted by our scheduled openings, then you can be sure our team will be there to make things right. If you have any questions about the opening of Elizabeth Street, then please don’t hesitate to contact the Student One team. 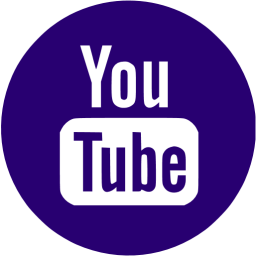 If you are an Australian full-time university student and receiving Centrelink or other financial assistance, then you might qualify for the Student One Scholarship. 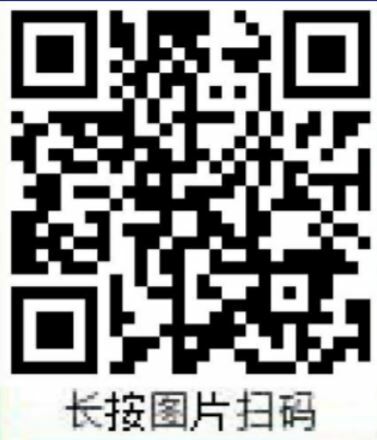 Boost your social network and make new friends for life, while still having your own private city sanctuary. Our six-bedroom apartments are an excellent choice for social butterflies and busy bees who still crave their own peace and quiet. The Student One original. Our five-bedroom apartments have been a massive hit at all three Student One properties. Large and private bedrooms are complimented by spacious living areas, a state-of-the-art kitchen, and two stylish bathrooms. Sometimes less truly is more. Perfect for those who want a little less company and a little more tranquillity, our four-bedroom apartments are private yet social at the same time. If you’ve got big dreams then you need a big bed. Our Double Studios are spacious, ultra-modern, and fully self-contained. After hitting the books all day, enjoy coming home and putting your feet up in your own private studio. Need a queen bed? Staying with your partner? Want the space to build a pillow fort? Our Queen Studios fit the bill on all counts. These studios can also be reconfigured to accommodate students with mobility impairments. While your school won’t give you extra credit, a stay in our Executive Studios will provide a course on how to live the dream. Whether you’re flying solo or with your partner, these studios represent the ultimate in student living. 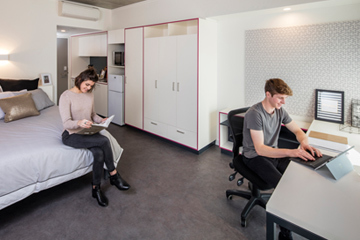 We understand that study is just one aspect of student life, so we’ve created a living environment that provides the perfect balance for residents who want to make the most of their overall education. Our city centre locations give you easy access to study, work and play. Each location is designed to create a vibrant new community where people can meet, socialise and study – enjoying the best that Brisbane has to offer. All residences offer retail outlets, such as cafés, grocery, and dining options on the ground level, right on the doorstep or very close by. Explore the map to see what’s around. To travel on Brisbane’s trains, CityCats, ferry services and buses, students need to buy a Go Card, which can be topped up via a credit card or over the counter at stations. 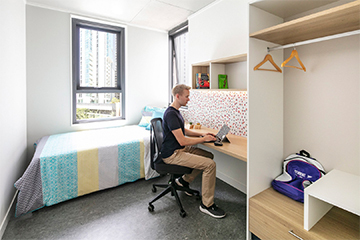 Student One is only a short walk from Central train station, which has trains regularly travelling to many of Brisbane’s most happening suburbs, the beach-lovers’ playgrounds of the Sunshine and Gold coasts and, of course, the international and domestic airports. 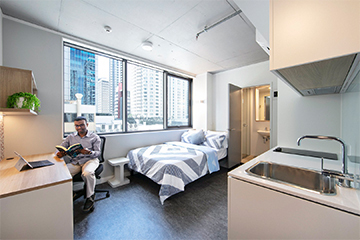 All of Student One’s residences are located within a short walk of Brisbane’s CityCat and Ferry Service. This is wonderful way to travel as you zigzag up and down the iconic Brisbane River. The CityCat and Ferry service allows easy access to QUT, UQ and educational institutions around South Bank Cultural Precinct. Our buildings have bikes for residents to use for free as a way to get to class or for their personal leisure. The bikes are maintained regularly and kept in a purpose-built storage area. Student One connects in with Brisbane’s stunning 1.3km of bike paths, which wind throughout the city and outer suburbs. 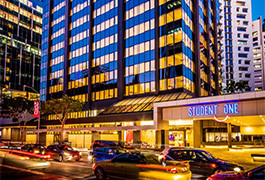 Student One Adelaide Street is located only one block away from the city’s main taxi rank (71 Eagle Street). Students can access taxis 24 hours a day at this secure rank. This taxi rank is staffed on Friday and Saturday nights and early mornings. 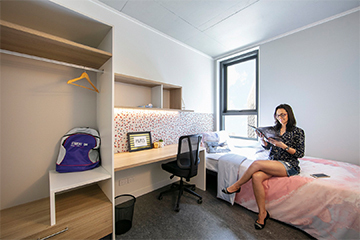 Student One Adelaide Street is located within a short drive or train trip from Brisbane’s bustling domestic and international airport terminals. Both terminals have a large schedule of flights connecting with destinations across Australia and the globe. Given the airport operates 24 hours a day, we provide around-the-clock support to ensure students are looked after at any time of the day. 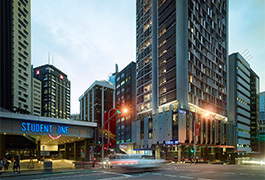 Student One Elizabeth Street is located adjacent to Myer Centre and only the shortest walk from Brisbane’s leading shopping and food district, Queen Street Mall. One of Australia’s largest pedestrian malls, this centre has many leading retail brands and local souvenir shops. Dotted around the shops is a large range of food options, from fast food to fine dining. 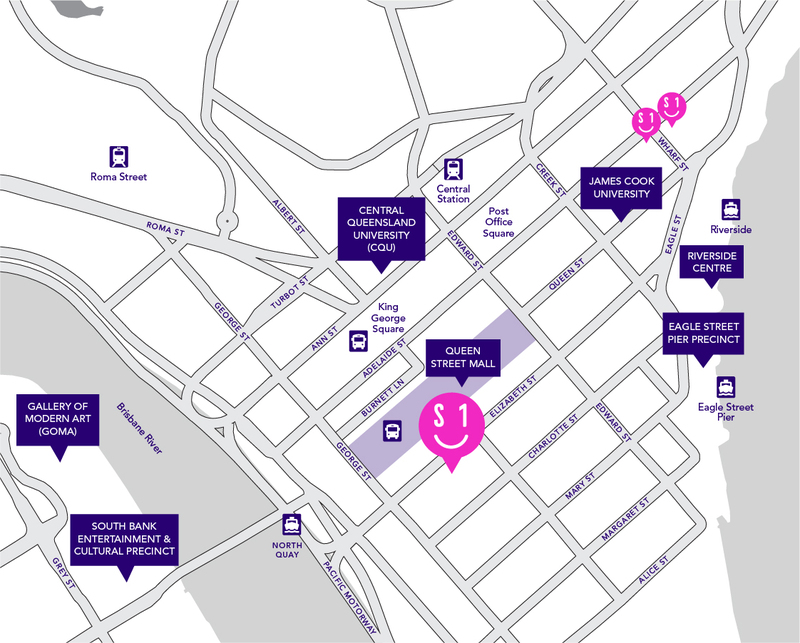 To visit the mall exit via Elizabeth Street and simply cut through the Myer Centre. You can’t miss it. Located within the Myer Centre is a Coles supermarket, which is open from 7am to 9pm Mondays to Saturdays and 9am to 6pm on Sundays. Students needing to do a bigger grocery shop can visit Woolworths which is a supermarket located three blocks away from Student One Elizabeth Street. It is conveniently located within the MacArthur Central Shopping Centre, also home to Big W, JB Hi-Fi and an Apple store as well as various food outlets. Not quite ready to book? Contact us - we’ll answer any questions you have about Brisbane's Premium Student Accommodation.